Several weeks ago, the Peace House girls were talking about forgiveness, asking why it’s so hard and why God believes it’s possible for us to let go of our anger and bitterness. Some of the girls seemed very closed to the idea, believing forgiveness may be impossible when you have been wronged in the ways that they have. Beatha was silent during the discussion, and I could see big tears welling up in her eyes. Finally she spoke up, saying that forgiveness is not about whether or not we understand it. And it’s not about whatever unforgivable thing someone did to us. It’s simply about God asking us to do it. Beatha went on to tell of when she had a newborn baby but no place to live. Her few family members said horrible things, refused to help, and left Beatha and her daughter to live on the streets. Her tears during the discussion that day were because of the tension that obedience was creating within her. At the same time that Beatha desperately wanted to obey God by forgiving her family, she also admitted that she was not ready to let go of the anger. She told us it was hurting her to disobey God. Unlike, Beatha I can’t remember that last time I was brokenhearted over my inability to honor God through obedience. On this Good Friday, the day set aside to reflect on Jesus’ obedience and the forgiveness bestowed on us all because of it, I’m thinking on Beatha’s words. 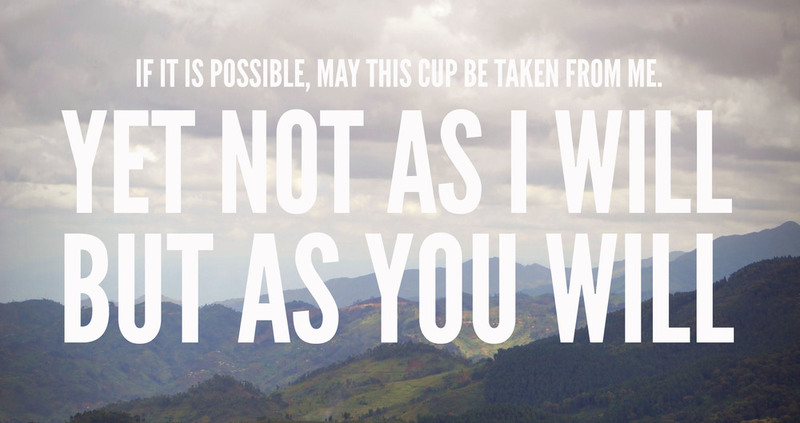 This morning I read in Matthew 26 about Jesus praying in the garden, “My Father, if it is possible, may this cup be taken from me. Yet not as I will, but as you will.” It’s as if in that moment, Jesus gave us a glimpse of his inner turmoil, the same turmoil that Beatha described. Wanting very much to honor God, while at the same time being honest about the difficulty of the task ahead. Jesus chose obedience, and in doing so, made a way for us to be given grace and forgiveness in the midst of our own turmoil.